If you're looking for some special piece of furniture that's not mass-produced and won't make you feel like you're still in college and you want it to be of high quality and handmade, Brooklyn might be the place to find it. Brooklyn is home to a small army of furniture-making studios run by designers, woodworkers, and environmentally minded artisans who produce a range of affordable standard items and pricier custom furniture. 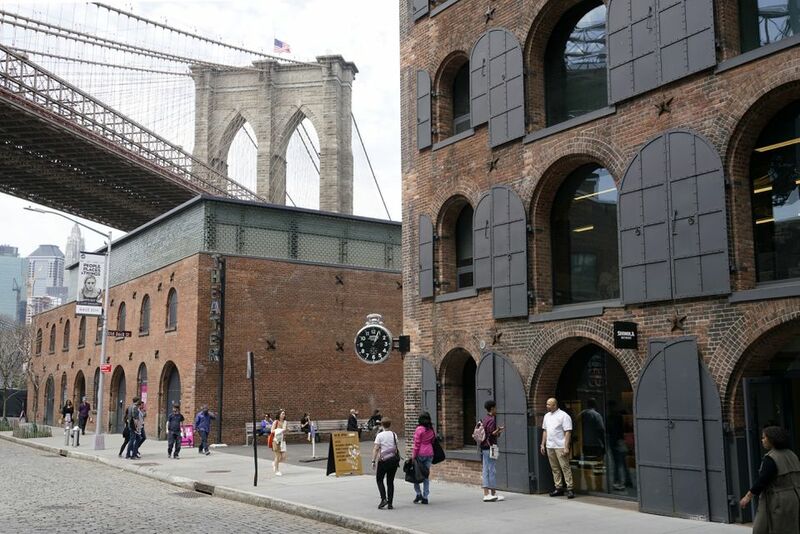 These studios tucked away in places like the third floor of a building in DUMBO or at the Brooklyn Navy Yard, make tables and chairs, credenzas and bookshelves, beds, and stools. In operation since 2010, Volk's principal, Brian Volk-Zimmerman, is a Rhode Island School of Design graduate who works out of a studio in Red Hook, Brooklyn. Before his move to a Civil War-era warehouse on the Red Hook waterfront, he worked in another iconic Brooklyn setting, the Brooklyn Navy Yard. His work uses traditional joinery and handcrafted traditionally joined and finished wood furniture to achieve a modern look. He deploys old-school, labor-intensive finishing methods, such as fuming the oak wood. Some of his pieces have a little discreet zing, like brass legs or unusual retro knobs. The shop produces tables, storage, seating, and custom pieces. 4Korners, founded in 2001, is a small shop in Red Hook, Brooklyn, started by self-described "serial entrepreneur" Scott Rafael. The company's appealing little bike rack is for the urban cyclist. Hung on the wall, it enables a bike enthusiast to have everything in one spot: the bike lock, helmet, water bottle, and keys. It's simple, clean, and affordable. Rafael's work is spare, practical, and green. Launched in 2008, Pickett Furniture is also based in Red Hook, Brooklyn. Named after its principal, Jeremy Pickett, the shop produces custom pieces using a minimalist, modern aesthetic. If wood can be in your DNA, Pickett, an Indianapolis-born designer, would test positive. He cites a generations-long family connection to the famous Scottish-born writer and nature advocate John Muir and proudly displays an old hatchet with the words "MUIR" on it. Shown below the skateboards is one of Pickett's most popular pieces, the ever-useful small wooden bench, as at home in a modern Brooklyn apartment as in a woodsman's home two centuries ago. Bien Hecho Brooklyn is based in the Brooklyn Navy Yard. Its craftsman, John Randall, is a self-taught former biology student who creates one-of-a-kind pieces for homeowners, designers, and small offices. Some of his materials are recycled, like a small discarded section of the now-replaced Coney Island Boardwalk, made of expensive pay wood. A gorgeous bench is made from "storm-downed honey locust" retrieved from the rough-and-tumble Brooklyn neighborhood of East New York after a storm in 2009. A handsome side table is made of scrap and soft woods, featuring dozens of different kinds of wood. Launched in about 2010, Mi Mesita, which means "my little table," caters to a specific demographic: 20- and-30-somethings who are finally tossing their first apartment IKEA-type furniture and can afford to spend a little money who are looking for unique, affordable, fun pieces. Rhode Island School of Design-trained owner Manny Flaherty knows the demographic (he's in it), so he keeps things simple, built low to the ground for that mid-century modern look, and reasonably affordable. There's a flair of romance here: The table in the photo has a small knot that allows enough space for a small vase and a rose.